Waterpipe smoking – or you might call it shisha or hookah or narjeela or arghile or goza or even hubble bubble! – has become quite common in the last 20 years. With its sweet aroma wafting from numerous bars and cafes in Victoria, people often mistakenly think that it must be less harmful compared to cigarettes. Using a waterpipe is not safe. It has similar health risks to cigarette smoking, and may be worse. Many toxic chemicals have been found in waterpipe smoke. You can end up inhaling much more smoke from a waterpipe than from a cigarette because usually you take deep breaths and smoke for longer. Waterpipe smokers in particular are exposed to high levels of chemicals such as benzene, which increases the risk of leukaemia. Secondhand smoke is a big issue, too. The burning charcoal is harmful to people nearby. Often it’s staff that are affected. A one-hour waterpipe session generates secondhand smoke with as much carbon monoxide as 20 cigarettes. But shisha is not addictive, right? Waterpipe smoke contains nicotine. Waterpipe smoking is addictive. Daily waterpipe smokers can feel just as addicted as cigarettes smokers. Doesn’t the water filter out the bad stuff? 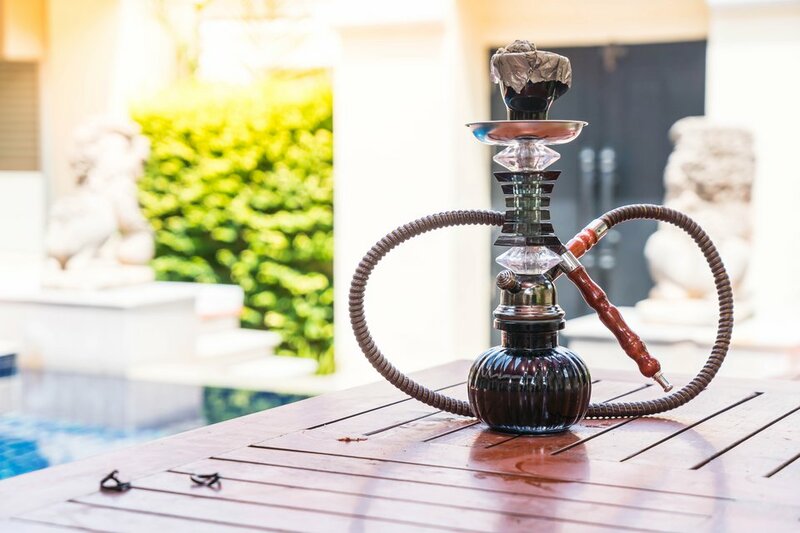 The water in shisha pipes does not filter out the harmful chemicals. Most of the tar and fine particles pass through the water. But the smoke is smoother. The moist, cooler smoke from the shisha might seem less irritating to the throat than cigarette smoke but it’s just as harmful. It smells like apple, how bad can it be? The waterpipe might have a fruity or sweet smell but it’s not healthier or safer than smoking. What about tobacco-free shisha? Waterpipes labelled “tobacco free” generate the same and sometimes more toxins than tobacco waterpipe products. This waterpipe has gadgets that make it safer. Some waterpipes are labelled as being less harmful. They may have mouthpieces containing activated charcoal or cotton, or they may have chemical additives or plastic mesh fittings to create smaller bubbles. None of these have been found to reduce exposure to toxins or tobacco-related disease. Salah had the same assumption about shisha that a lot of young people do, smoking shisha is better for you than smoking cigarettes. After realising that shisha can actually be worse for you, Salah took the journey to stop smoking shisha, despite wanting to impress friends or fit in. Watch his story on how he made the decision to quit and the benefits of going smokefree.